SAN FRANCISCO (Reuters) - Apple Inc plans to launch smartwatches with multiple screen sizes and designs this fall, the Wall Street Journal on Friday cited a person familiar with the matter as saying. Taiwan's Quanta will begin mass production of Apple's first smartwatches from July, in time for an October launch, several sources familiar with the matter told Reuters on Thursday. The Wall Street Journal on Friday also cited sources saying Quanta would manufacture the device. One of the sources told Reuters on Thursday that Apple expects to ship 50 million units of the so-called iWatch within the first year of the product's release, although these types of initial estimates can be subject to change. The smartwatch will come with a slightly rectangular display that likely measures 2.5 inches diagonally, the source added. The watch-face will protrude slightly from the band, creating an arched shape, and feature a touch interface and wireless charging capabilities, according to the source. Another source told Reuters that LG Display Co Ltd is the exclusive supplier of the screen for the gadget's initial batch of production. The iWatch will also contain a sensor that monitors a user's pulse. Singapore-based imaging and sensor maker Heptagon is on the supplier list for that feature, two sources said on Thursday. Apple's smartwatch will follow similar devices by Samsung, Sony Corp, Motorola and LG Electronics Inc - gadgets that tech watchers say have not been appealing or user-friendly enough for mass adoption. But the market is growing fast. Data firm IDC estimates that worldwide shipments of wearable computing devices, including smartwatches, will triple this year over 2013. 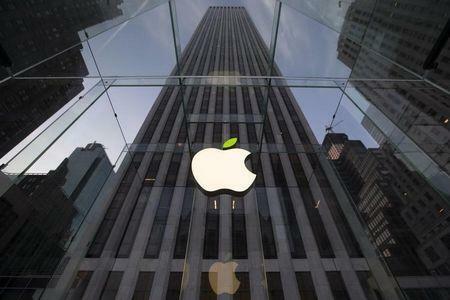 Apple has declined to comment on reports about upcoming products.